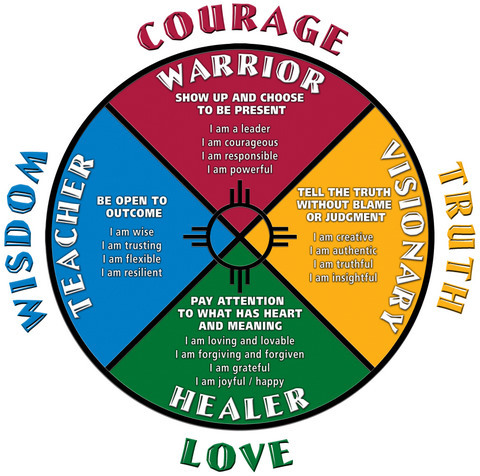 Students recently reflected on their Treks experiences through writing and made connections to the Lessons of the Medicine Wheel and the 4 aspects of self they explore while enrolled at Cherokee Creek: the Warrior, Visionary, Healer and Teacher. The River Lessons are an 8-part blog series sharing these unique student perspectives. Greg’s playful, curious nature empowered him to create more comfort in his tent and and more fun on the river. What kinds of things do you do to make your world more fun or comfortable? How have you approached a recent situation and improved it with your own authentic style of creativity? Cherokee Creek Boys School is a therapeutic boarding school for middle-school boys, ages 11-15, located in Westminster, SC. We continue the River Lessons, a series of blogs from our students’ perspectives. Students recently reflected on their Treks experiences through writing and made connections to the Lessons of the Medicine Wheel and the 4 aspects of self they learn to explore while enrolled at Cherokee Creek: the Warrior, Visionary, Healer and Teacher. Scott makes the ultimate “go with the flow” statement, doesn’t he? This statement is a great Healer-Teacher combination of joyful participation and flexibility – the perfect river lessons. Are you inclined to “go with the flow” and find the fun in most situations? What are the fun activities in your life that allow you to be open to outcome? This week we continue the River Lessons, a series of blogs from our students’ perspectives. Students recently reflected on their Treks experiences through writing and made connections to the Lessons of the Medicine Wheel and the 4 aspects of self they learn to explore while enrolled at Cherokee Creek: the Warrior, Visionary, Healer and Teacher. Ben details well the creativity involved with problem solving as he adapted to his circumstances. He reminds us that we can always make a different choice. What circumstances bring forth your creative best? When facing a situation where you need to “think-fast,” how do you respond? *A hydraulic is a river feature where the water flows over a smooth ledge and then rolls back towards the ledge. In smaller rapids they become fun spots to play by keeping your boat on the wave – or “surfing”. In larger rapids their “sticky” nature makes them a hazard best to be avoided. Cherokee Creek Boys School is a therapeutic boarding school for middle-school boys located in Upstate South Carolina.